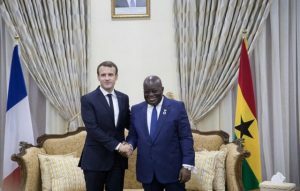 President Nana Akufo-Addo on Monday said he, together with the Ghanaian people were shocked by the news of fire outbreak at the Notre Dame Cathedral in Paris. Other world leaders, including US President Donald Trump have also commented on the fire incident. A lot firetrucks deployed to the scene battled the fire for close to nine hours. The firetrucks had difficulty getting to the scene amid the daily afternoon rush hour. Police said on Twitter the public should avoid the area and allow emergency vehicles into the scene. The 12th-century cathedral, about 850 years old, is home to priceless works of art and is one of the world’s most famous tourist attractions, immortalised in Victor Hugo’s 1831 novel The Hunchback of Notre Dame. It attracts about 13 million visitors a year from around the world. The post Nana Addo commiserates with France over Notre Dame fire appeared first on Citi Newsroom.